Shocker, another moto jacket in my closet. I bet you didn't see that coming! I try to venture out with my style from time to time - I mean hey I took a step away from neutrals for this look. That deserves a pat on the back, right!? I definitely have my comfort zone and it's a tie between neutrals and moto jackets. I just really like fitted pieces! 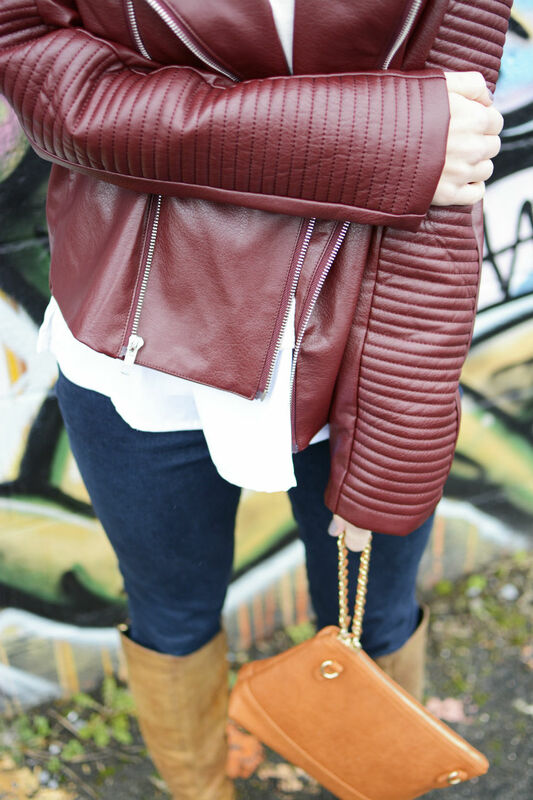 I love the detail in this particular jacket and the color is so rich and perfect for these colder months. It did come with shoulder pads that I chose to remove, but it was no trouble at all. I simply snipped a few of the inseam stitches and then sewed a few stitches right back in after I removed the pads. Now it fits like a glove and doesn't make me look like a football linebacker. 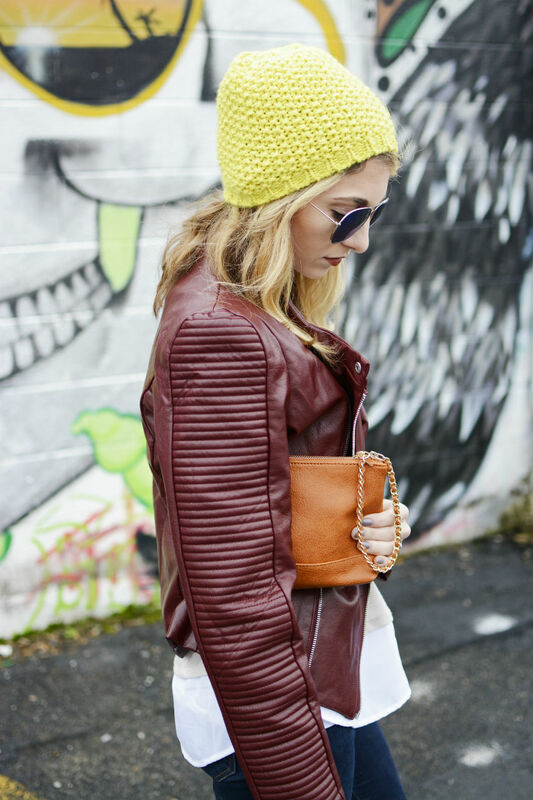 I think a tip with styling a piece like a moto jacket is to pair it with a more delicate, feminine piece. I paired it with this top because the blush and sheer fabric at the bottom take down the "grunge" appeal a notch. I styled another moto jacket in this post and you can I see I paired it with a flower detailed top, but also ripped denim. 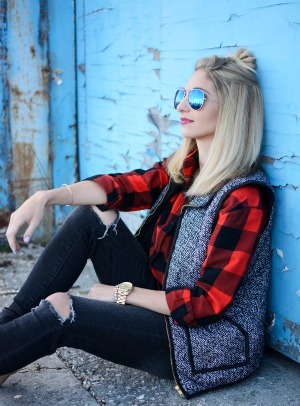 It keeps the grunge appeal without going overboard. 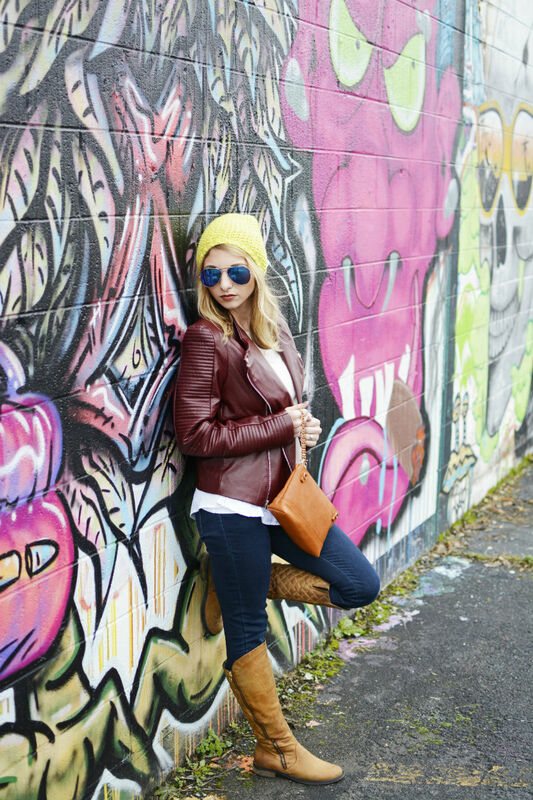 6 comments on "Styling A Moto Jacket"
I love that jacket and those boots! Great outfit! That jacket though...mmm mmm mmmmm :D Love it!! You look killer! Thanks for the styling tips, too because I'm never sure how to style this type of jacket.